Valet available outside restaurant on Melrose Avenue after 7pm. If not available, please pull to valet side lot located on Lucerne Boulevard. We are an elevated, modern, service oriented neighborhood restaurant. We offer tasting menus as well as a la carte dining with an extensive beverage/wine program from two Los Angeles industry veterans. Kali serves some of the best farm to table cuisine in Los Angeles. The spring menu really shined with seasonal vegetables that were delicious and beautifully plated. I loved the Striped Bass served with a smoked fish broth, as well as the rich, tender short rib. The signature meringue gelato was a perfect way to end the meal. Kali has a great wine program which really complements their menu. As always, service was friendly and knowledgable. This is one of my favorite restaurants, and I look forward to returning soon. Another extraordinary meal at KASS. 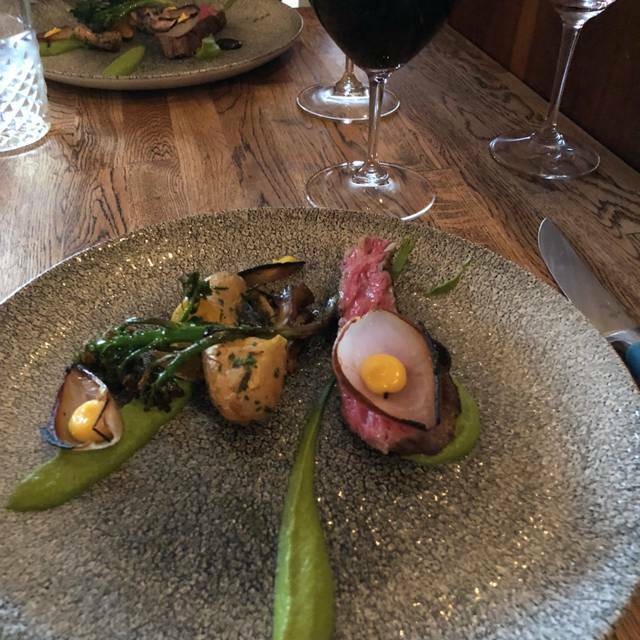 Lovely room, top notch service, a wine list that pairs beautifully with the food. Each dish is artfully presented. And Chef Eme is cooking the best food in town. This is a wonderful culinary experience. Great food, really fresh. Service was helpful and present. Same millennial minimalism as many places, not distinctive. We have been may times. 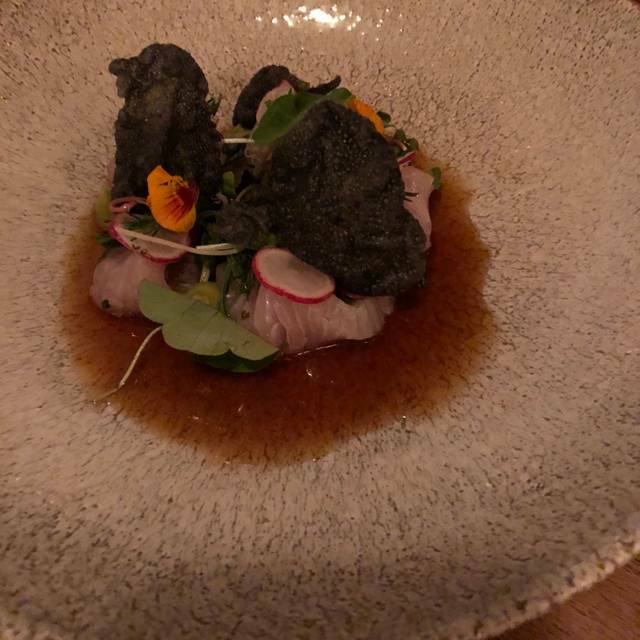 Our meal at Kali was one of the best I’ve had in a long time in Los Angeles or New York. There were four of us, and we ordered many dishes to try. The food was innovative and truly delicious. A few standouts were the tomato soup (who would think tomato soup could be so interesting and unusual), the sea urchin pasta (which I literally woke up in the middle of the night wanting more of), the cavatelli, the grilled avocado salad, the chocolate Cremeux, the crispy and creamy rice pudding, the home baked rolls. Seriously, this restaurant is phenomenal. A beautiful place-great menu-excellent service. But the food-for the third time now-was just really not very good. Watery tasteless cavatelli, the meat was tough and gristly , the black rice grain dish was under-done, insipid. Even the fussy little bread tasted like a Stouffers dinner roll. Kind of shocking-it seems like a great place-until you actually eat there. Sorry to say this but get it together people. It was stone cold empty for a reason. This was our first visit to Kali. The food and servie was OUTSTANDING! A home run dinner! The food was exceptional. We sat at the chef's counter and witnessed Chef Kevin make some magic. 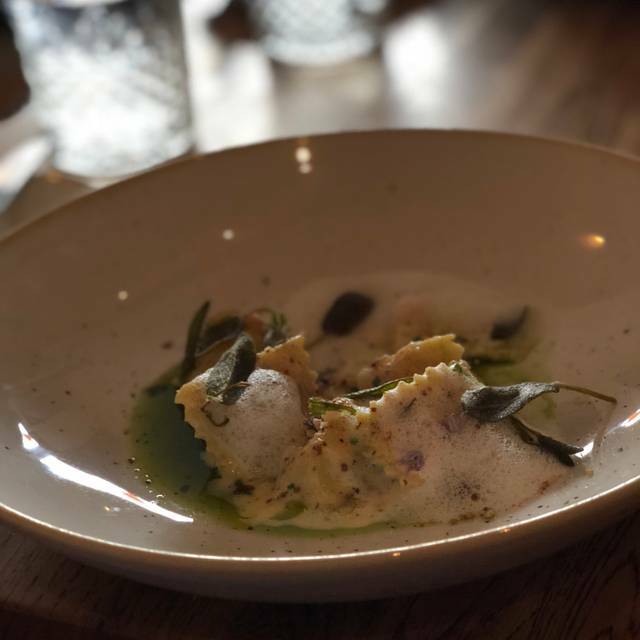 We enjoyed a fresh pea tendril salad, the asparagus which was exceptional, the fresh made rosemary bread with butter, the uni pasta, and the angelotti which were all perfectly balanced, beautiful and delicious. The wines that the co-owner/som Drew offered were so wonderful. For our mains had the lamb and the pork - both of which were seasoned and prepared flawlessly. The desserts we had were not too rich but full of flavor. That meringue gelato with cured egg yolk is just - wow. We will keep coming back to this true LA gem! This what is the third time we had the privilege of eating at Kali. Very creative and beautifully garnished dishes, albeit on the pricey side and with small portions. Service excellent. Noise levels can be a problem, so go mid-week when the crowds are thinner if this is an issue. Great food, reasonable prices and nice ambience. Can’t go wrong for a nice meal that isn’t too stuffy or pretentious. The owner came out and spent some time getting to know us. It was so special getting to learn more about his life and restaurant. On top of that the service and food were incredible. The biggest standouts were the spring salad, any of the pastas, and meringue ice cream and candid egg yokes. It is all crazy good and the dishes are so beautiful! Thanks again for everything Kali! A hidden gem! Their food was amazing and their staff made it even more special! Farm to table menu. The duck was outstanding. Brandon, our waiter was very knowledgeable with the entire menu. He made the experience outstanding. Always one of favorites, my wife and I find ourselves back at Kali repeatedly to enjoy the chef’s tasting menu and wine pairings while watching the kitchen at work from the counter (although standard seating’s also available). 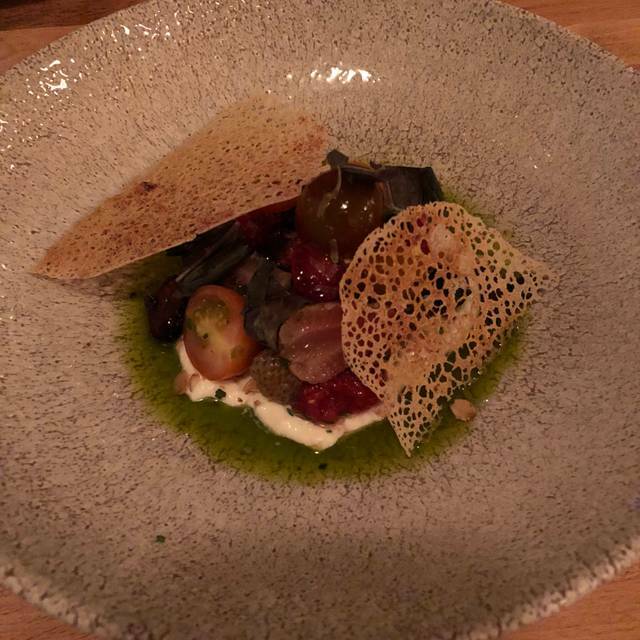 But the food fits any palette and we love and appreciate the consistently great work, changing menu, and amazing staff lead under Chef Meehan. Also one of our favorite places to bring friends - never a complaint! Exquisite flavors and presentation - very creative. Wonderful warm and attentive service. Interesting wine selection. Went for a special occasion and would highly recommend. Also relaxed and unpretentious, with a lovely bar to sit and dine at. Wonderful dinner for get together with out of town friends. Each dish from house made cheese to the salads and the pasta and meats were exceptional. 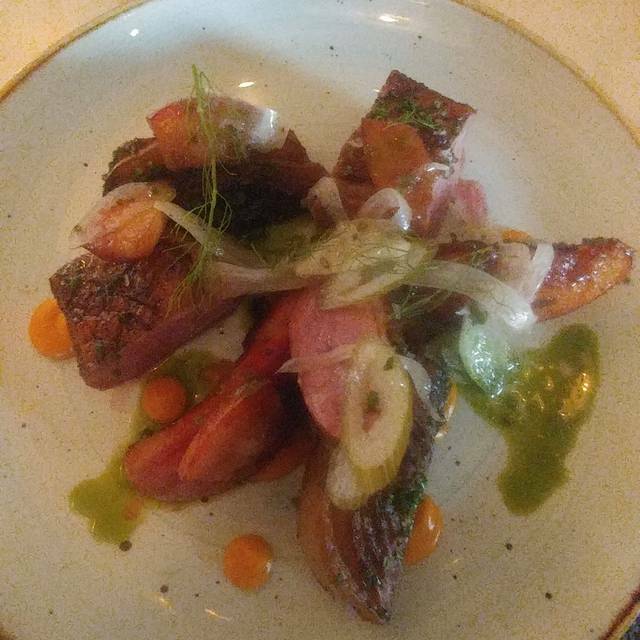 The aged duck and short ribs were a delight. We especially enjoyed the sea urchin pasta and the agnolotti with spring peas. The beet tartar and barley risotto were also wonderful. We hope to go back again. Everything was “just right.” We couldn’t have picked a better restaurant and we look forward to returning. We had a late reservation and didn’t at all feel hurried during our meal. Quite the opposite actually. The waitress was so knowledgeable about the menu and the wine. Everything we ate was absolutely divine. The burrata salad felt like a journey through a garden. The homemade mini loaf of bread with rosemary butter and salt was warm and delicious. Next time, I think I might try the tasting menu. You can’t go wrong at Kali. Kali is the best for fine dining in its part of LA without having to dress up for the experience. For my dinner that night, my friend and I had counter seats in front of the kitchen and enjoyed the chef's menu with wine pairing. This was a thank you dinner I owed him, and we couldn't be more satisfied. In addition to the amazing food were the thoughtful wine pairing, interaction with chef Kevin Meehan and crew, and the show that is the kitchen. I would haunt the place if I lived closer. Creative cooking .. friendly staff .. great chef.. great wine ! Inventive, interesting menu. Exceptional service. Delicious food. Amazing experience! Can’t wait to return! very impressive and inspiring place. Everyone on LA needs to try this place out. Amazing service from our server to the chef. The food was fantastic. Highly recommend the bone in ribeye. Phenomenal food & outstanding service. Perfect spot for business lunch. Thank you for a lovely and quiet meal. A ladies group was super loud... i blame wine! GREAT spot loved the food and the service will def go again. The menu is limited but solid. Their signature dish is the charred avocado, a very large salad two could split. It was good. The agnolotti pasta was gummy and bland, but the sea urchin pasta was quite good. The steak was tough, but the fish was delicious. Good beer selection. It's a little hit and miss depending upon what one orders. The service wasn't too bad, but a little condescending. Then they lost our signed credit card receipt and had to run the card again, promising us we would only be billed twice. I hope so. Haven't seen the credit card statement yet. They have valet parking around the corner, although some of us were able to get street parking. It was very dark inside and we were discouraged from using our cell phones to illuminate anything, which was frustrating. Fantastic food and drinks. Will definitely be back! An amazing restaurant! Great food, and service! An outstanding experience! Memorable Black cod and salmon entrees, truly original gelato with shaved yolk dessert! This was a very pleasant adventure in dining, facilitated by excellent staff. Another memorable meal at Kali! It was a busy Saturday night, and the restaurant was packed. Despite it being so busy, the staff provided their always warm welcome and excellent service. 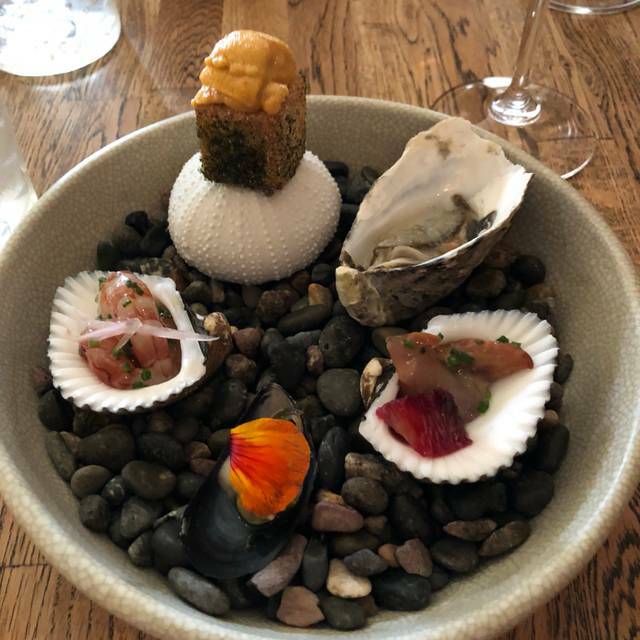 The tasting menus are the way to go here, and I highly recommend the accompanying wine pairings to showcase the outstanding cuisine. The menu changes frequently, but one of the constants is the rosemary roll with cultured butter. It's so good it could be a meal in itself! 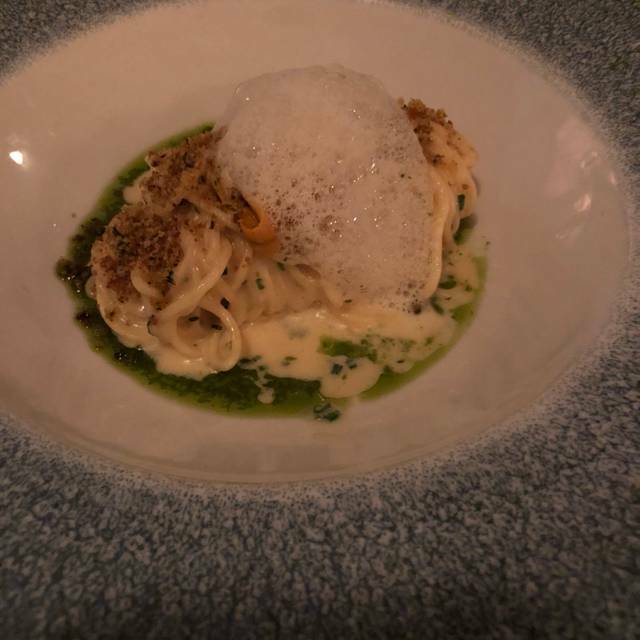 I loved the Uni Pasta - rich creamy and satisfying. For dessert, I tried the Panna Cotta, and it was the perfect ending to a delicious meal. I can't wait to return to Kali. Exceptional food in a lively neighborhood setting. A great addition to the restaurants on Melrose. My wife and I really enjoyed this restaurant for the second time. The service and food are outstanding. The yellowtail crudos and the agnolotti are really the best that we have ever eaten. 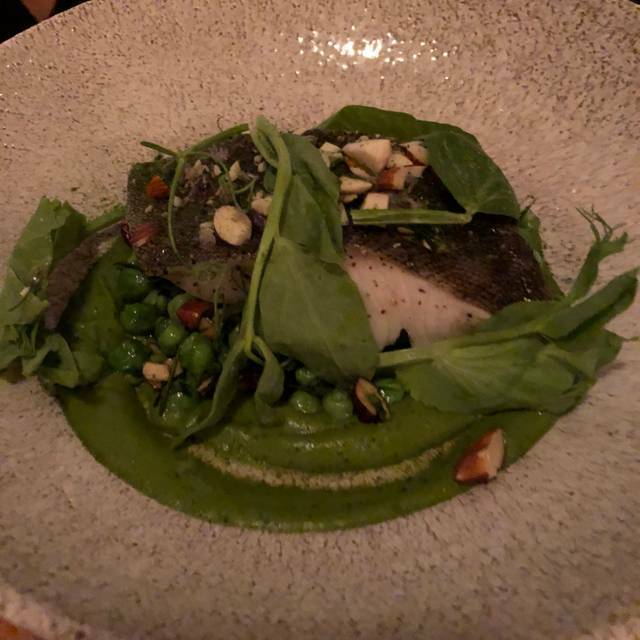 My wife enjoyed her cod and I really enjoyed the pork loin. The dessert that is a meringue sorbet is absolutely magnificent. This restaurant is great for those who appreciate great food at reasonable prices. We will definitely return to this place in the near future. Absolute neighbourhood gem. The service as well as food were a top notch. It's that perfect combination of authentic, clean but robust culinary experience without being stuffy or overpriced. This place should be really embraced by everyone from casual diners, foodies or special occasion visitors. Highly recommended. Amazing. A restaurant where every dish is exceptional. We tasted a selection of courses, with mouthwatering flavors, ranging from light to satisfyingly rich. 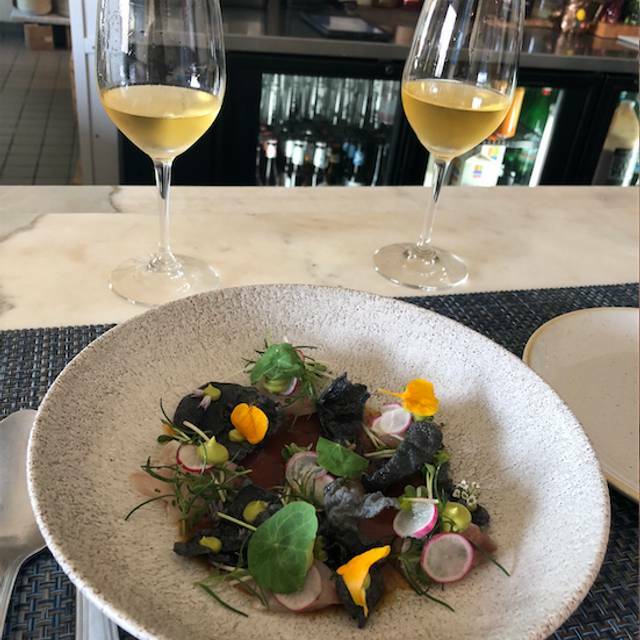 Fresh, flavorful, locally handselected ingredients, the presentation, service, and every detail reflect a unique love for the craft of a truly masterful chef. The best restaurant in Los Angeles.